An insatiable sweet tooth can be hard to keep in check, especially when surrounded by delicious varieties of baked goods, sweets and cake. Office parties are rife with temptations as are family gatherings. Going out to dinner is one thing as you are able to choose healthy options for a meal; however, it takes a turn if you decide to split dessert. Sugar’s siren song is incessant, sounding off ever the clearer in response to stress, loneliness, blood sugar imbalances and hormone fluctuations. In response to an intake of sugar, the brain releases neurotransmitters called serotonin, a natural mood stabiliser which attributes to a happier, calmer you. In addition, serotonin forces us to become more focused, less anxious and more emotionally stable. Another quick release edible – simple refined carbohydrates (i.e. baked goods and cakes) as these are ultimately converted into glucose. For some, sweet consumption is a slippery slope, starting out with a couple cookies and ending with the entire box. Splurging every now and again is a part of being human; however, continually eating mass amounts of sugar can have unpleasant long-term effects like obesity, heart disease, dental disease, non-alcoholic fatty liver disease, type-2 diabetes, cancer, hormone irregularity, depressed mood and anxiety. It’s not all doom and gloom. A few simple additions to your daily diet can help assuage cravings. And the best part is, these spices taste amazing in their own right. Cinnamon – Naturally sweet and versatile, this spice can be stirred into tea, coffee and smoothies, used as a topping for fruit or ice cream, mixed into oatmeal, porridge, and yogurt or sprinkled onto sweet potato to give it a sweet, festive taste. Cinnamon can influence/improve conditions known to cause sugar cravings: yeast or fungal infection, irritability and hormonal changes. Cinnamon can naturally regulate blood sugar levels by reducing glucose levels thanks to the existence of polyphenols which affect blood glucose levels. 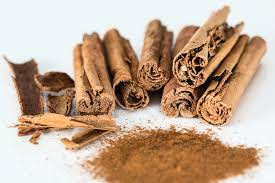 A study conducted by the American Diabetic Association demonstrated a lowered blood glucose level in patients taking a dose of 1-6g of cinnamon for 40 days. An exhaustive clinical trial showed cinnamon reducing the fasting blood glucose levels in 311 patients. A high level of glucose in the blood is attributed to diabetes, cardiovascular and metabolic disorders. Cinnamon reduces glucose levels in the blood, meaning it can fight against the development of these issues in its own small way. 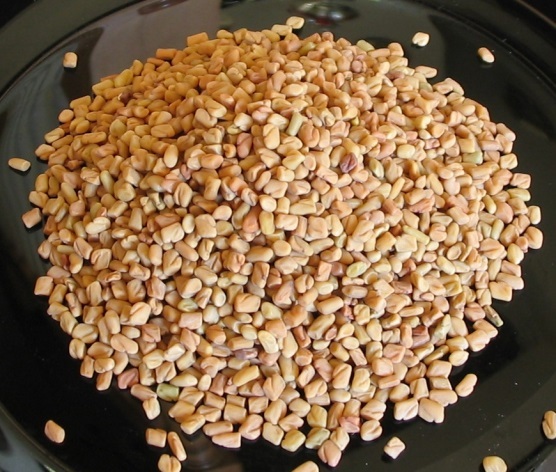 Fenugreek – An unusual taste of the Middle East, the seeds of this herb are malty in flavour and are best used in spice blends, tea blends or curry powder. Add a small amount to yogurt or to spice sautéed greens. Ayurvedic practitioners, those who operate within the world’s oldest holistic healing system, use fenugreek to manage metabolic and nutritive disorders (e.g. diabetes). Fenugreek is a hypoglycemic, lowering and regulating blood sugar levels. 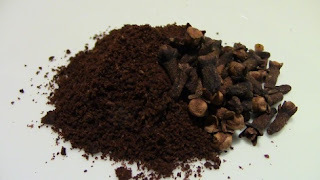 Cloves – Thanks to its warming qualities, cloves are associated with winter and, like cinnamon, are slightly sweet. Use to flavour chai tea, sauces, stews, marinades or sprinkled over roasted veggies, salads, grains, and poultry. An active component found in cloves, eugenol, has notable anti-inflammatory effects. Eugenol may reduce the risk of some cancers and joint inflammation. This is not strictly related to curbing sugar cravings, but it is relevant information. A study found that after 30 type-2 diabetes patients consumed 3g of cloves per day, glucose and total cholesterol levels were better managed. 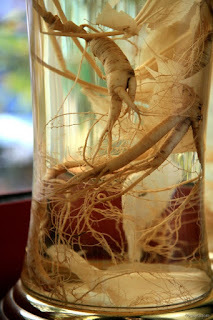 Ginseng – Widely-used as an herbal medicine for years this root has a multitude of beneficial properties. Pick this zinger up as an extract or in powdered form, but keep a sharp eye out for illegitimate varieties. Ginseng is exclusively added to tea. The root has a lot of great things going for it, boosting the immune system, relieving stress, improving mental performance and wellbeing. Additionally, it has strong antioxidants, ginsenosides, that reduce stress and inflammation. There are different varieties, American and Asian, but both have similar beneficial effects. However, those with high blood pressure should choose American ginseng. 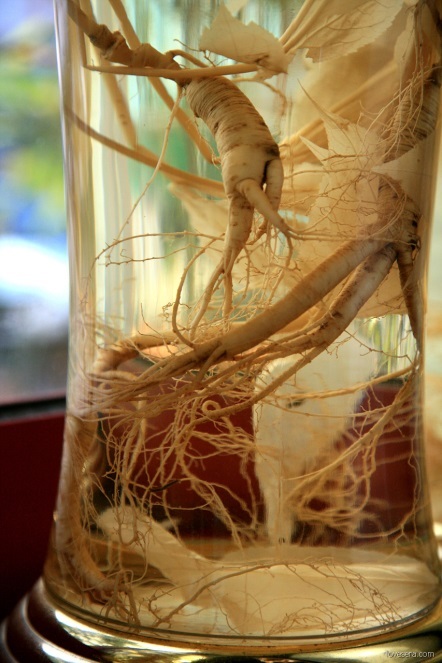 On top of its beneficial properties, ginseng is a blood sugar stabiliser. Several American studies in humans have shown lowered blood sugar levels in those with type-2 diabetes.